Beginner Organic Gardening - The Easy Way is a simple, step-by-step guide to help beginner gardeners grow their own vegetables naturally. 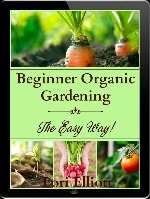 In this book, we cover everything you need to know to go from seed to harvest to have a successful beginner garden. 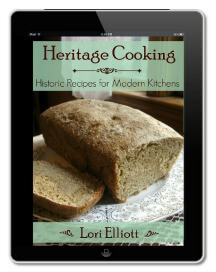 Heritage Cooking is a collection of old-fashioned recipes from antique cookbooks. The recipes all date back to the mid-19th century, and I've included the original recipe as well as a modern adaptation. These recipes use real ingredients prepared in traditional ways and include breakfast dishes, soups and stews, main dishes, breads, and desserts. 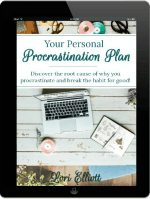 Your Personal Procrastination Plan is all about helping you to discover your own individual procrastination tendencies because, when you know the root cause of why you procrastinate, you can use strategies designed to help you to overcome those tendencies and break the procrastination habit for good. These are all books that I love and recommend. Some of them were written by my friends and fellow bloggers, and others are just great books that I've really enjoyed and found helpful. What if you could lose weight without dieting, excessive exercise, diet pills, or counting calories? What if you didn’t have to go low-carb, low-fat, or low-protein either? Think it’s just a crazy fantasy? Think again! DaNelle Wolford is here to share the secret of how she lost 35 pounds and healed her chronic illness. The title says it all: Yes, you can still eat dessert (every day, if you want!) and lose weight naturally, without restriction or sacrifice. The answer lies in revisiting traditional foods that are far more delicious and nutritious than their mass-produced, modern counterparts. Health starts with your metabolism, but if your diet and lifestyle don’t support your metabolic health, you’ll be left feeling tired, moody, and stressed–and wondering why all this “healthy” advice you’re following isn’t working for you! Find out which hidden causes of stress are ruining your metabolic health, and learn how you can reduce or counteract these sources of stress. 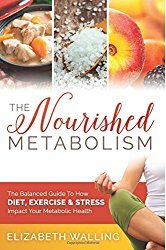 Learn how digestion, sleep, and exercise are all connected to your metabolism, and learn which small changes can make a big difference in your health -- this is not about following an arbitrary plan, it's about learning what works for your body! 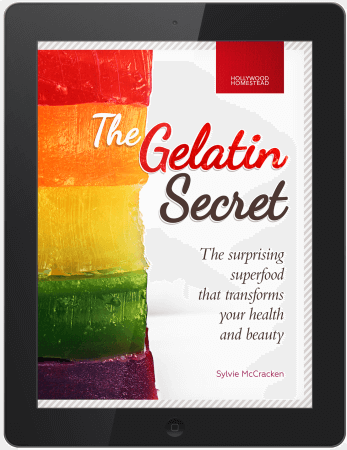 The Gelatin Secret will give you all the ancient secrets and recipes to see and feel incredible health results in the shortest time possible. In fact for many women and men, they have immediately seen a difference within a couple of weeks of daily consumption of bone broth and powdered gelatin. You’ll be surprised at how quickly you will feel your digestive system improving, see your skin clearing up, fewer allergies and notice pain decreasing — all within a matter of weeks. Then you’ll be astonished when in a few months your nails have become stronger, tooth decay has begun to reverse and those bouts of hunger vanish. A grand encyclopedia of country lore by famed Texas folklorist Jerry Mack Johnson, covering water witching, maple syruping, weather wisdom, country remedies and herbal cures, cleaning solutions, pest purges, bird migrations and animal lore, firewood essentials, adobe making and bricklaying, leather working, plant dyes, farm foods, natural teas and tonics, granola, bread making, beer brewing and winemaking, jams and jellies, canning and preserving, sausage making and meat smoking, drying foods, down-home toys, papermaking, candle crafting, homemade soaps and shampoos, Christmas wreaths and decorations, butter and cheese making, fishing and hunting secrets, and much more. 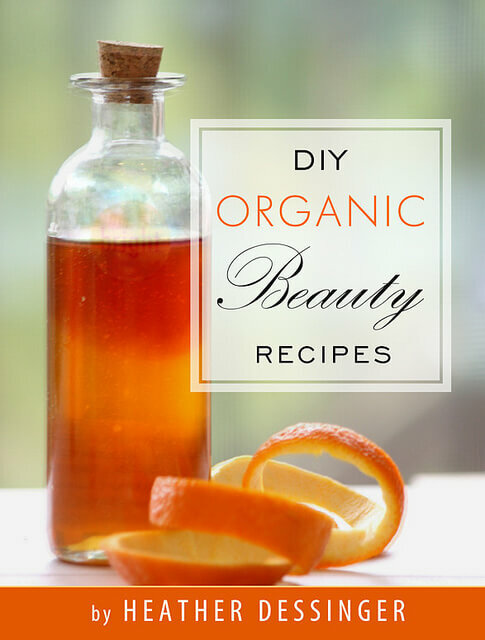 There are some great DIY beauty recipes out there that work really well . . . and some that don’t! Unfortunately it’s impossible to know which it will be ahead of time and it’s always a bummer to have to throw out failed attempts made with fantastic ingredients. Each recipe in this book has been tested over and over to ensure consistent results, including over 50 recipes for DIY shampoo, conditioner, soap, lotion, deodorant, and more!